INDEPENDENT MP for Norton Temba Mliswa said he will vote for Emmerson Mnangagwa for the post of the president in the forthcoming election and expects the Zanu-PF leader to appoint him as minister. 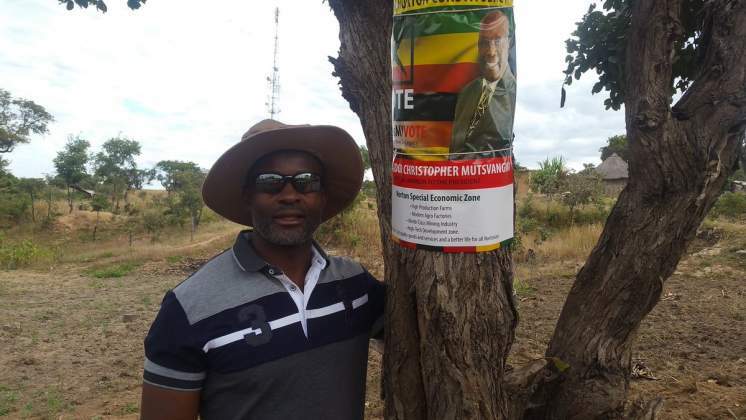 The former Zanu-PF Mashonaland West provincial chairperson, who is running as an Independent candidate for the Norton seat once again, said he is competent enough to run a ministry. Responding to comments that Norton voters no longer trust him because he is Zanu-PF at heart, Mliswa said Mnangagwa has his vote. "The last person whom you want to doubt is me, there is clarity. I support ED yes, I also believe in a generation coming through so I support Chamisa's rise," Mliswa responded during an election debate Wednesday in Harare. "But from my choice, yes I support ED, but I don't have to be Zanu-PF to support ED, you must understand this." "My vote is going for ED in 2018 and the MDC people of Norton and everybody must know that."